Duration: 12 x 25 mins approx. If you had to pick the five most iconic images of cinema, images that truly represented the medium and its history, what would they be? King Kong swiping at biplanes from atop the Empire State Building? Gene Kelly wrapped deliriously around a lamppost in Singin’ in the Rain? Mickey Mouse in his Sorcerer’s Apprentice costume? Jack Nicholson howling “Heeeeeeeere’s Johnny” through an axe-ventilated door? Leonardo Dicaprio, arms stretched wide, proclaiming himself “king of the world”? Your own personal list would depend on your own experiences with film and how it has affected your life. But one all-pervading image recognisable to even those with the most casual interest in cinema is that of Charlie Chaplin in his iconic Tramp outfit. During the 1910s and a chunk of the 20s Chaplin was the most famous movie star in the world and, while his popularity has inevitably waned a little since then, he is still one of the most instantly recognisable people in 20th Century history. To those who know little about the man and his work, images of terribly dated, frantic, broad slapstick probably spring to mind at the mention of his name and, in all fairness, this sort of once-popular mediocrity was a big part of Chaplin’s early work with Keystone Studios where he honed his onscreen personality. However, it became quickly apparent that Chaplin was a talent too large for the material he was being given to work with and before long he had taken on writing and directing duties alongside his starring roles. 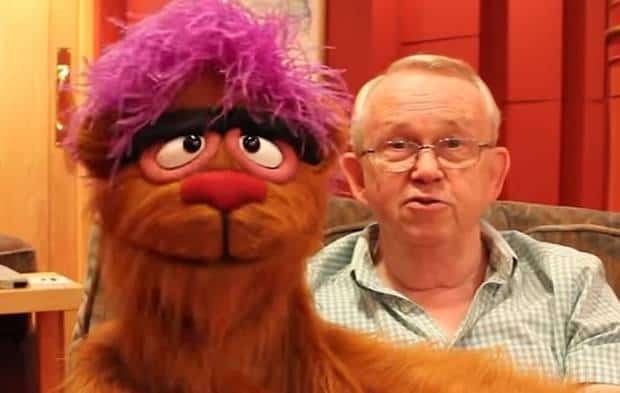 He was soon tempted away from Keystone by Essanay Studios, who offered him a higher salary and greater creative control. Here, Chaplin was able to write and direct all his films and, while they still had a crudeness and predictability in keeping with audience tastes, Chaplin’s new films also began to challenge expectations and add elements of drama and pathos into the mix, most famously in The Tramp, the short that fleshed out Chaplin’s most famous character and began to invite audiences to identify with him rather than just revel in his antics. While the Essanay films were a crucial stepping stone in his growth as an artist, most critics recognise Chaplin’s move to the Mutual Film Corporation as the start of the classic era. With creative control as writer, producer, director and star, Chaplin was able to begin realising his full potential and the twelve two-reeler shorts he created at Mutual are still among the most famous films ever made. Unfortunately, over the years these fascinating comedy gems have often been distributed in inferior quality versions, with material cut out and images so fuzzy that it is frequently difficult to tell exactly what is going on. There is no such problem with the BFI’s wonderful new DVD and Blu-Ray sets of Chaplin’s Mutual Comedies, which feature not only the best restorations of the films to date but also fantastically informative commentaries by Chaplin historians on every single film. Finally these classic comedy landmarks can be seen with the crisp clarity required and with a choice of musical scores for each one, including newly composed pieces by Carl Davis and improvised piano accompaniments by a range of silent film composers. Chaplin’s speedy growth as an artist is fascinating to watch in these chronologically presented films. The Mutual contract obviously allowed Chaplin the breathing room he needed to develop his ideas. The initial deal was for a new comedy short to come out every month for the course of 12 months, a schedule that Chaplin kept to for the most part until his growing ambitions lead him to request more time, which Mutual was willing to give him. With such ready compliance, it’s little wonder Chaplin would later refer to this period as the happiest time of his professional life, and this happiness is evident in the films, which makes them all the more appealing. 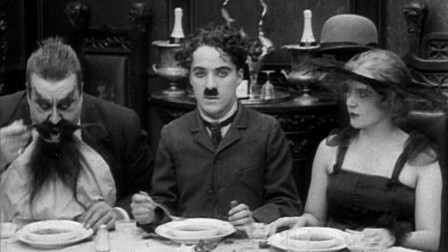 Chaplin had surrounded himself with a fine repertory company, including his off-screen lover Edna Purviance and the splendidly villainous Eric Campbell. While this company of supporting actors do not approach Chaplin’s level of acting and comic timing, they are a pleasing presence throughout, with Purviance providing a captivating sweetness and Campbell staking a claim to being the definitive silent screen heavy. The Floorwalker was the first of Chaplin’s Mutual comedies and it starts the series on fine form. Audience expectations were high for Chaplin’s new series of films and this first effort received a greatly positive response. The Floorwalker opens by playing a trick on unobservant audience members, as we see what appears to be Chaplin as a thoroughly unpleasant character, mistreating his staff in the department store where the film’s action takes place. It quickly becomes apparent however that this is not Chaplin at all, but another actor made up to look like him. Of course, this resemblance goes on to play a part in The Floorwalker’s hackneyed plot, which is merely a skeletal framework on which to hang a series of gags and chases. 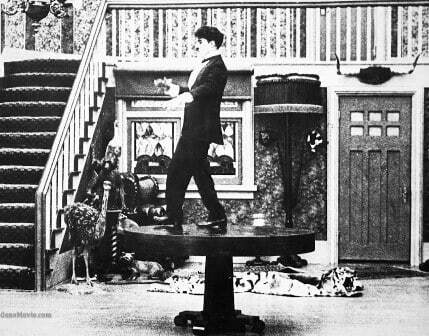 The Floorwalker’s design is built around a large central prop, an escalator (reportedly the first one seen on cinema screens), which Chaplin continuously incorporates into the action, including a great chase sequence in which the two characters involved frantically move their legs but find they are going nowhere. 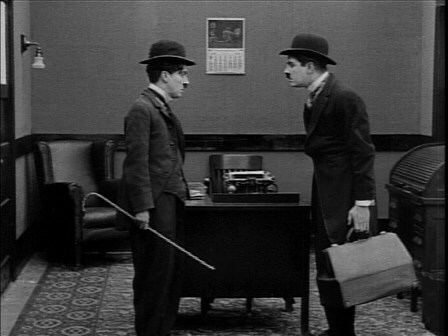 Also notable is an early gag in which Chaplin and his double first meet and mirror each other’s movements, an early influence on the oft-used mirror routine that was arguably perfected by the Marx Brothers in Duck Soup. As Chaplin becomes embroiled in the nefarious schemes of the store manager, we get to see his first onscreen interactions with Eric Campbell, whose considerable presence looms large throughout these films. Campbell and Chaplin became firm friends and reportedly cracked each other up and this can be charmingly observed in their interplay in The Floorwalker, with one scene in particular betraying unintentional gleams and flickers from both men. The second of the Mutual comedies, The Fireman, is regularly cited as the worst of the twelve but I would take issue with this claim. It is probably fair to say that it is the least sophisticated of the twelve, harping back to the frantic slapstick of the Keystone era, in particular an overreliance on characters kicking each other up the arse. The Fireman is a particularly violent short in this respect, with posterior-bootings seemingly happening every few seconds. Many of the actors are clearly wearing padding to allow the unfaked kicks to appear as vicious as possible. The main downside of this still amusing film is its lack of invention. 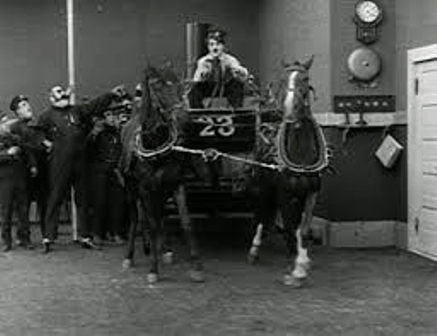 The premise of casting Chaplin as an inept but ultimately heroic fireman immediately sets up certain expectations of where the plot is going and the film ultimately fulfils every one of these, with a feeble story about the fire chief and his sweetheart’s father arranging an insurance scam proving muddily confused and ultimately perfunctory. Unlike in The Floorwalker, the actors seem to be going through the motions here, obviously very familiar with this kind of material. That said, they gamely throw themselves into the physicality of the piece, ensuring that The Fireman has an addictive energy and plenty of well-played slapstick. 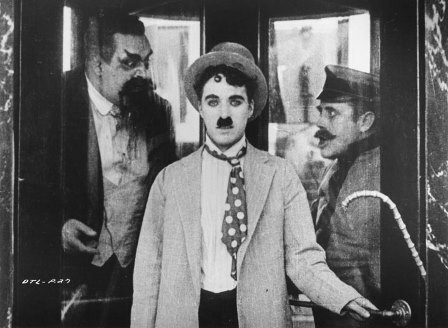 However, as a result of this film Chaplin reportedly received a letter from a fan urging him to stop playing to audience expectations and pursue his more inventive impulses. Chaplin apparently took this advice to heart, which may account for the greater ambition of what followed. The Vagabond is the first of the Mutual films to show evidence of the pathos and dramatic elements that Chaplin had previously explored in The Tramp and would utilise more and more as his career went on. 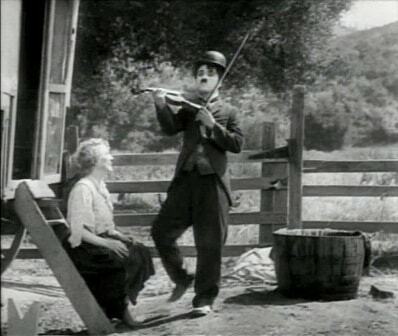 The film opens with a wonderfully directed scene in which Chaplin’s tramp sets up outside of a bar to busk with his violin, only to come into direct competition with an entire band. The opening moments, in which we identify Chaplin immediately from only his feet, immediately betray a greater visual flair and the framing of the rest of the scene, in which the screen is divided into a thin strip of alleyway where Chaplin sets up with his violin and a large portion of street where the band set up, is expertly planned. From this excellent opening, The Vagabond continues to impress with an action packed confrontation as Chaplin rescues Edna Purviance’s Gypsy Drudge from her brutal captors. At this stage The Vagabond has all the hallmarks of being one of the best shorts of the series but unfortunately it cannot keep up the pace and peaks too early with the violent confrontation with the gypsies. From hereon in, The Vagabond is a gently melancholy tale of a growing love thwarted by the arrival of a third participant. Despite the odd nice touch, the final ten minutes are unremarkable and, ultimately, unconvincing as Chaplin tacks on a thoroughly unearned happy ending, something his would increasingly shy away from in his later work, with more considered, ambiguous denouements prevailing. When I first encountered the Mutual comedies several years ago, One A.M. was the short I was most interested to see. This was because it appeared at a glance to be the most formally inventive of the bunch. An argument could still be made for this viewpoint but, unfortunately, One A.M. fails to live up to its ambitions. For the most part an entirely one-man show (aside from an almost inanimate turn from Albert Austin as a cab driver), One A.M. casts Chaplin as a wealthy drunkard who returns to his large house after an evening’s heavy drinking and spends the rest of the film trying unsuccessfully to make it up the stairs to bed. In the process, household items become obstacles and enemies, with a revolving table, two staircases and a viciously swinging pendulum proving to be more than worthy adversaries. The excellent art design and framing that characterised the early scenes of The Vagabond come into play strongly in One A.M., with the tricked-up house set proving to be one of the film’s main delights. Chaplin had made his name in theatre by playing well-to-do drunkards so this was a role with which he was very familiar. His drunk acting is excellent and anyone who has ever staggered home in a state and found the smallest chores transformed into Herculean tasks will recognise what is being portrayed in this film. Unfortunately, for all its ambition, One A.M. feels at least fifteen minutes too long. By the tenth time Chaplin has plummeted down his staircase, it’s enough to drive anyone to drink! Repetition is so key to this idea and yet across twenty-five minutes it becomes frustratingly unfunny. When Chaplin finally gets around the problem of the staircases by scaling a coat rack, the brilliance of his physical dexterity seems to almost make it worthwhile but then we are presented with the film’s least funny sequence in which a bed which folds up and down does so repeatedly again and again until you can’t quite believe anyone could ever even attempt to milk any more laughs out of such a basic gag. Ultimately One A.M. proved to be one of the least popular of the Mutual comedies and Chaplin vowed never to make another film like it again. 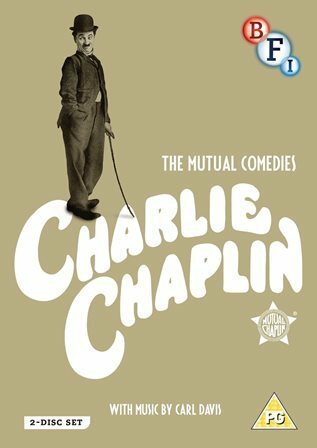 Perhaps in response to the failure of One A.M., Chaplin’s next film for Mutual is one of the series’ most straightforward comedies and yet it works pretty well. Unlike The Fireman, The Count attempts a slightly more structured plot involving a tailor’s assistant who is fired for burning a Count’s trousers and then proceeds to impersonate the same Count at a swanky party. The comedy here is more measured and balletic than the rough and tumble of The Fireman, with even the kicks up the arse being orchestrated into a dance routine. Eric Campbell, whose reduced role in The Vagabond and absence from One A.M. had made him a much-missed presence in the past two months, makes a superb foil in The Count, as his intentions to impersonate the absent Count are usurped by his former assistant, who immediately demotes him to his secretary. Their rivalry, exacerbated by a slippery dance floor, is a joy to watch and both actors once again seem to be loving every minute. After a couple of more ambitious and unusual shorts, The Count is a hugely enjoyable return to more rollicking, gag-based fun and probably put Chaplin in a fine frame of mind to subsequently deliver the first of the Mutual series’ masterpieces with the film that followed. The Pawnshop was one of Chaplin’s most popular Mutual comedies and it’s not hard to see why. Forsaking a strong plot for a series of beautifully constructed gags and set-pieces, The Pawnshop is Chaplin at his very best. 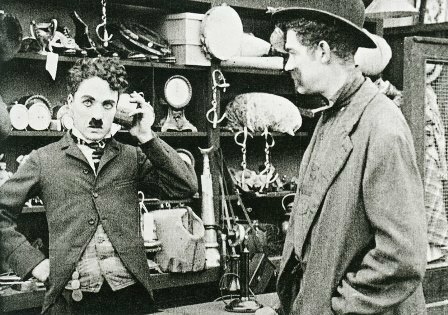 The biggest laughs in The Pawnshop come from Chaplin’s ongoing battle with the other pawnshop assistant John Rand. These slapstick sparring matches are wonderfully staged and perfectly petty, giving the film an amusing through-line on which to hang its numerous other brilliant sequences. Although he eventually emerges as an armed robber, Eric Campbell is somewhat marginalised by other Chaplin co-stars who are given a chance to shine. One of these is Henry Bergman, another large man who makes his debut with Chaplin here as the stereotypically Jewish pawnshop owner. Bergman is immediately a strong presence and his continued appearance in the rest of the Mutual comedies are characterised by a game willingness to take on any role, male or female, and throw himself physically into any situation with a gusto that is often comedically mismatched with his girth. Also memorable is Albert Austin, the only cast member other than Chaplin to appear in all twelve of the Mutual films. Austin often got lumbered with fairly bland roles and frequently found himself stuck behind ludicrous fake facial hair but his gentle manner and understated bewilderment have an enormous appeal, and never more so than in The Pawnshop. Here, Austin is the other key player in the film’s most famous and brilliant sequence, in which an alarm clock owner watches in dumbfounded dismay as Chaplin methodically demolishes his clock. It’s a justly famous scene which acts as a perfect centrepiece for this comedy masterpiece. The Pawnshop was by far the best film Chaplin had made up to this point but he would quickly surpass it three films later. After the brilliance of The Pawnshop, Behind the Screen comes as something of a letdown, although it is not without its noteworthy moments. Set behind the scenes at a movie studio, Chaplin plays a stagehand who frequently gets wrongly blamed for the laziness of his thuggish supervisor (Eric Campbell). Beginning the second half of the Mutual run, Behind the Screen also begins a run of slightly improved roles for Edna Purviance, who had been rather marginalised since The Vagabond. Here she gets her own Shakesperean subplot as a failed actress who disguises herself as a man to get a job as a stagehand. This leads to one of the film’s most surprising jokes, in which a kiss between Chaplin and the disguised Purviance is misinterpreted by Campbell, who begins acting over-effeminately until Chaplin puts a stop to it with a swift kick up the behind. It’s a shock to see gay jokes in a film from 1916, although it’s important to remember that this was before the production code was introduced to restrict risqué content. 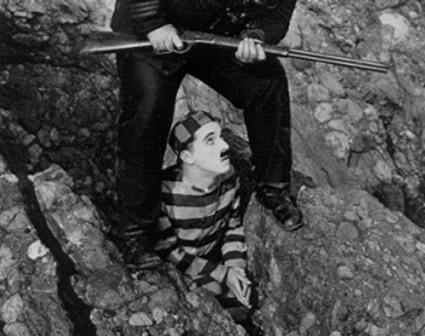 Given the era, the brutal ending of the joke is perhaps no great surprise even from so liberal a man as Chaplin, although the subsequent plot in which Chaplin’s character denounces a union strike is more surprising given what we know about his subsequent politics, and it may only be included to serve the rather unfocused story rather than as any kind of statement. Aside from these footnotes and an amusing lunch break sequence, Behind the Screen is largely unremarkable and I would place it below The Fireman and One A.M. as my least favourite of the series. After the disappointment of Behind the Screen, The Rink is a step (or slide) in the right direction, although it does feel a little like two films awkwardly welded together. 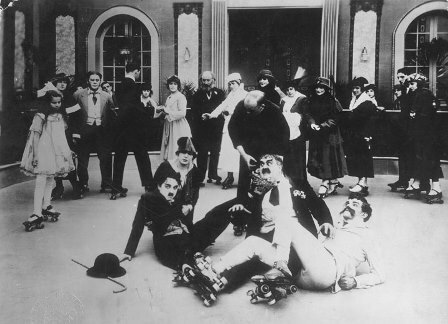 In the first part, Chaplin is the waiter at a restaurant, while in the second he attempts to woo a lady he has met at a roller skating rink. The two parts of the film are important to each other in that various characters meet outside of the titular rink and then all collide in a coincidental climax of mayhem and humiliation. However, the two parts don’t complement each other that well and ultimately the restaurant scenes take up too much time that could have been better spent at the rink itself. Once again, the somewhat convoluted plot plays second fiddle to the set-pieces, in particular Chaplin’s amazing ability on roller skates which emphatically steals the show. He glides with a mesmerising grace and I would have liked to see much more of this in the film. That said, the restaurant portion does feature a terrific scene in which Chaplin makes a cocktail, demonstrating how he can get big laughs from the tiniest movements of his body as well as the most flamboyant of kicks. If The Rink ultimately doesn’t quite hang together, there is a lot of fun to be had in picking out the better moments. And so we come to Easy Street, a film of such brilliance that it can’t help but overshadow everything that has come before it, even The Pawnshop. For the first time in a Chaplin film, all the elements come together perfectly: a strong plot, great jokes, excellent performances, a measured use of sentimentality and drama. All are on display in Easy Street, perhaps the best silent comedy short ever made. The story starts with Chaplin, back in his tramp persona, curled up asleep outside a mission near the streets of a slum. 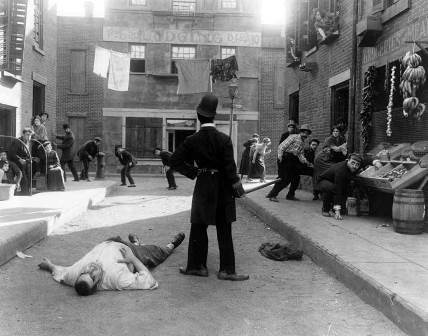 Having undergone a religious awakening at the hands of a beautiful young mission worker (a potentially cloying scene which Chaplin beautifully undermines with one of the film’s most surprising laughs), the tramp signs up with the police force and is assigned to Easy Street, a beat which no policeman in their right mind would take on. Littered with drug addicts, thieves, anarchists and towering bullies, Easy Street is in a constant state of violent anarchy, largely orchestrated by a humongous bully (Eric Campbell, of course, in his definitive role). Through ingenuity rather than muscle, the tramp defeats the bully and suddenly becomes the most feared figure on Easy Street, using this new found status to begin cleaning up the place. But the bully has not quite finished with him yet… This absolute knockout of a film doesn’t put a foot wrong across its twenty-five minutes (although a joke involving an inadvertent injection of cocaine may raise the odd eyebrow). 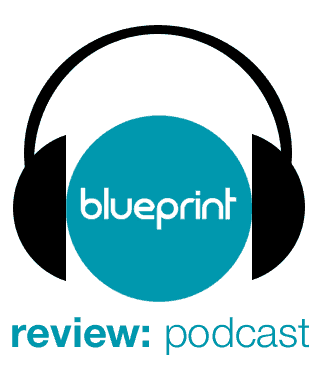 It immediately distinguishes itself from its predecessors by eschewing their episodic structures and adhering to a consistent, flowing plot structure throughout, from which the exceedingly inventive jokes derive naturally. This may be the first of Chaplin’s films that could truly claim to be a comedy-thriller, with equal billing for each genre. The tramp’s adventures on Easy Street are as compelling as they are hilarious. One scene in particular stands out, the famous scene in which the tramp first faces off against the bully. Campbell is magnificent here, as threatening as you could hope for, while Chaplin is like a dextrous little animal, scrambling around to find his best chance of survival. The solution, involving a street lamp, is ingenious, beautifully staged and unexpected. When Easy Street draws to a close, unlike with its messy predecessor The Rink, there is an enormous sense of satisfaction and of having been part of a well-told, fully-realised story. Easy Street can easily stand up alongside Chaplin’s very finest work, including his classic feature films. After the triumph of Easy Street, Chaplin’s next film returned to a more gag-based approach but the lessons learned from the previous masterpiece were still evident. The Cure takes place at a health spa where Chaplin, once again in the guise of an upper-class drunkard, goes to try and give up booze. He brings with him an enormous case full of liquor which inadvertently finds its way into the water supply, turning the spa into an all-out drunken party. While there are many comic diversions along the way, The Cure stays focused on its themes and setting throughout its runtime, unlike The Rink’s awkwardly grafted together sequences. The film is carefully plotted so that the madness slowly escalates, resulting in the gloriously wild finale. The Cure also recalls the series’ excellent opening film The Floorwalker, in that it utilises two central props for many of its jokes, in this case a revolving door and a sunken well. While the well is key to the plot, the revolving door is a comic device that is set-up with what seems like an overlong opening sequence but this then allows the prop to be used regularly throughout the film but viewed from a distance. Having seen the mechanics of the door up close, we then fully understand it so that the merest hint of a distant entanglement with it becomes all the funnier. While it isn’t the most hilarious of the Mutual films, The Cure is one of the most carefully crafted and this adds much, particularly on repeat viewings. Probably the most famous of the Mutual comedies and the one that many consider to be the best (I think Easy Street edges it out), The Immigrant is the third and last of the Mutual masterpieces. Surprisingly, The Immigrant returns to the more episodic structure of the earlier Mutual shorts, reportedly because Chaplin came up with the second half of the film first and then got the idea for the first half during filming. The result is a film that has a discernible midpoint but nevertheless feels like a comfortably complete work. 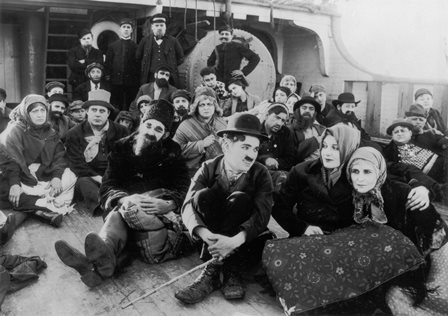 The Immigrant begins with Chaplin’s tramp aboard a steamer bound for America, along with many other penniless immigrants hoping to find a better life. On board he meets Edna Purviance (in her best role of the series) as a fellow immigrant with a sick mother. In the process of trying to help her out without her realising, the tramp is accused of being a pickpocket. He is exonerated but in the process the girl realises that he has slipped her a wad of cash (won from another traveller in a card game) and in her gratitude the two strike up a budding romance, which is cut short when they become separated on arrival in America. The second half of the film sees the penniless tramp finding a coin and wandering into a restaurant where the brutal head waiter (Eric Campbell) does not take kindly to those who can’t pay. The tramp is overjoyed to be reunited with the now orphaned girl from the ship but is horrified when he finds he does not have enough money to pay the bill and, having witnessed what happens to those who can’t pay, spends the rest of the film desperately stalling while he tries to find a way out of the predicament. The restaurant scenes are Chaplin at his comedy best, getting plenty of mileage out of a simple idea, but the genius of The Immigrant is in the marriage of this neat comic scenario with the contextualising opening sequences which show how the tramp ended up in his predicament and upping the stakes by reintroducing the woman he loves at the very moment of his potential humiliation. One of The Immigrant’s great strengths is in the understated playing, particularly in the dramatic scene on the ship in which the girl realises the act of kindness that the stranger has done for her. Later, in the restaurant sequence, a black-bordered handkerchief tells us all we need to know about why the girl is now on her own and it’s a delicately handled moment of pathos amidst the high comedy of the bill-paying problem. The Immigrant emerges as a funny, sensitive love story with a nod to social issues and its gentle sweetness helps it to stand out from the slapstick merriment of the majority of the Mutual films as the most representative example of where Chaplin was headed artistically. Given the consistent streak of quality that the Mutual films had got into by this time, I had high expectations of the final film, The Adventurer, which had the longest production period of the whole series and had the promising setup of casting Chaplin as an escaped convict. The title and premise seemed to point towards an exciting comedy thriller in the vein of Easy Street which would have set a wonderful seal on this classic batch of films. Sadly, The Adventurer is something of a mess, suggesting that the longer production time may have been due to script problems rather than a desire to perfect the final work. There is certainly the ambition to make something grand, with an opening cliff-side chase making good use of location shooting and getting the film off to an exciting start, even if there is a telling lack of good jokes amongst the frantic flailing. The Adventurer then heads into its main plot as the escaped convict saves a group of socialites from drowning (in a confusingly bland and repetitive sequence) and is then invited back to their home for a celebratory party where he passes himself off as Commodore Slick. But the police are closing in… By the time we get to the party at the house, The Adventurer is threatening to turn into The Count, albeit a weaker version of it. This is compounded by the fact that arse-kicking starts to play a prominent part in proceedings for the first time in several films. The whole thing culminates in another chase, which is fun to watch and features good gags with a lampshade and a sliding door, but ultimately The Adventurer is a disappointing ending to one of the most important series of comedy shorts ever made. Made across seventeen months, Chaplin’s Mutual films are a cinematic landmark and, given the relatively tight timescales (for quality filmmaking, if not necessarily for comedy shorts of the time), the hit rate is extraordinarily high. Although there are lower quality efforts, there isn’t one film that doesn’t feature something of interest or an insight into Chaplin’s progression as a writer, director and performer. These points of interest are fleshed out by the wonderful commentaries on this set, all delivered with a barely suppressed joy by Chaplin historians who cannot hide their own fandom and have a considerable wealth of information to share, enhancing the appreciation of each film. The accompanying booklet offers yet more information, with essays and a neat little breakdown of each film, while the set is rounded off by a couple of newsreel shorts and an interview with the composer of the set’s default scores, Carl Davis. Finally, these exquisite comedies have a presentation worthy of their quality and importance and hopefully this will delight Chaplin’s fans and win him a whole new generation of admirers in the process. Wow, that’s an impressive writeup. I’m slowly working my way through Chaplin’s work. I’ve got the two boxsets of his more famous features, but I haven’t seen many of his shorts. This set looks like a good way to go to get familiar with them.